Being born and brought up in a small town, greener surroundings beckon me. However, work demands that I stay in the city and let go the idea of greener surroundings. I wish, I could get both, greener pastures for my peace of mind and city living as my work demands. I have always wanted to live in a place which is closer to nature, with greener environmentaway from the hustle and bustle of the city. Till now the only way I knew how to go ahead with this was to buy a property in the countryside and then build a house there for my old age. This looked like a distant dream to me and I kept putting it in the back burner and thinking about it only when time or savings allowed. However, for me and many people like me,this distant dream can turn into a reality today. 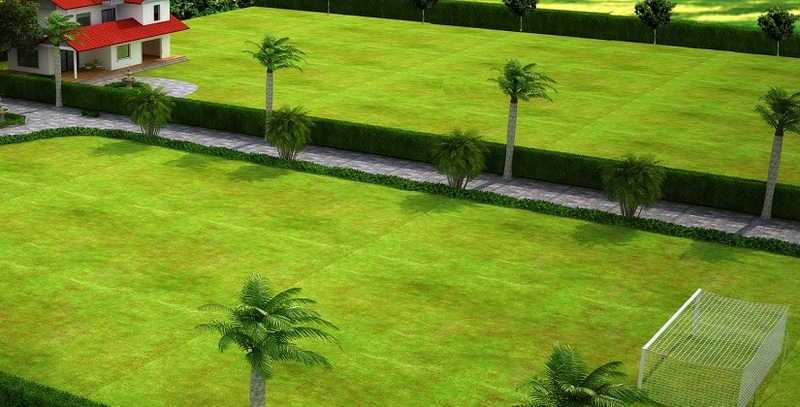 Looks like angels were listening on to my prayers andsome developers have come up with the concept of Green living in gated communities in Jaipur. These Green Living residences are built in the suburbs, closer to nature and in a way that bring outdoors inside their house. These residencesalso provide all the luxuries one can think of in today’s age. With the community surrounded by lots of trees and all the houses built in a way so that the residents can enjoy maximum sunlight and green surroundings, things for people like me have started to look up. Nearer to nature also means you can have peace of mind, be more creative, holistic development of your children, healthier lifestyle, and cleaner air to breathe. Not only this,living away from the maddening life of city also gives you an opportunity to explore your creative side, which might have been lying dormant while you have been busy making to the top in your job, earning your livelihood. I have always maintained that life for me means freedom to step out of the house and exploring nearby locations, enjoying long walks in the garden or woods. But always at the back of my mind I knew it’s only possible if I shift base to the countryside. But not anymore, now I can live near a city and enjoy the benefits of living near nature. I am astonished at the kind of options I have in Jaipur for green living and how affordable they are. Pollution free: Pollution free living is another factor that pulls me towards the suburbs and greener environments.City life is full of air and noise pollution, which is dangerous for all of us. While living in a greener environment, my children and I will be able to breathe in fresher air and live in a serene environment. Safe & Secure: Because these communities are gated they offer all the state-of-the-art security and all the amenities like power backup, multilevel security system, filtered drinking water facility adds on to the safety feature for the residents. gated communities. These houses are designed in a way that gardens are part of your house. Lush green outdoors, surrounded by beautiful flowers give one a feeling of living outdoors. Low Density: Low density is another factor that attracts me towards green living. Cities today are over polluted and space has become a major issue. Moving into a gated greener community means lower density and less population. Healthier Lifestyle: This is the most important aspect of moving into a greener neighbourhood. I believe the only thing we don’t take care of today is our health, which according to me should be our priority. Living closer to nature, in a pollution-free environment can help me change my lifestyle and focus on my health. Quiet neighborhoods: Imagine living in a neighbourhood where you need not worry about noise from every corner. I prefer peaceful and serene environments and I think Greener communities can offer me that. Good for child’s growth: I want my children to live and breathe fresh air. Their holistic development is more important to me than anything else. Living closer to nature can only benefit my children and these days a lot of good educational institutes are coming up near such communities. A green-gated community is like a dream come true for me. I want my children to grow in a serene, pollution free and a healthy environment. Living in Green Gated Communities can offer me that and a lot more.